Kimberley Brownlee is currently leading a Leverhulme Trust Research Project titled Investigating the Ethics and Politics of Sociability. She is a Professor of Philosophy. Her areas of expertise lie within moral, political, and legal philosophy. Before joining the University of Warwick in 2012, she was a Senior Lecturer in Moral and Political Philosophy at the University of Manchester. She has been a Fulbright Visiting Research Chair in the Philosophy Department at Vanderbilt University (2008); an HLA Hart Visiting Research Fellow at University College, Oxford (2009); a CEPPA Visiting Research Fellow in the Philosophy Department at St Andrews University (2009); a Visiting Scholar in the UCLA Law School (2012); a Warwick-Monash Visiting Fellow at Monash University (2015), and a Visiting Lecturer at Duke University (2016). She has received an AHRC Networks and Workshops Grant (2008), an AHRC Research Leave Award (2009), a Philip Leverhulme Prize (2012), an Independent Social Research Foundation fellowship (2014), and a Leverhulme Trust Research Project Grant (2017). Kimberley is a member of the Executive Committee of the Aristotelian Society (2014-2017) and a former member of the Executive Committee of the British Philosophical Association (2012-2016). She is a member of the Editorial Board of Law and Philosophy, the Editorial Board of Criminal Law and Philosophy, and the Advisory Board of the Springer series in Ethics and Public Policy. From 2010-2012, she was a member of the Review Board for the International Encyclopedia of Ethics, published by Wiley (2013). Kimberley is the author of Conscience and Conviction: The Case for Civil Disobedience, published by Oxford University Press (2012). 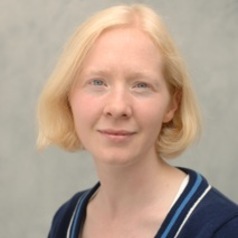 She is also the co-editor the Blackwell Companion to Applied Philosophy (Wiley 2016), and co-editor of Disability and Disadvantage, published by Oxford University Press (2009). Her articles have appeared in Philosophical Quarterly, Philosophical Studies, Ethics, Law and Philosophy, Utilitas, Oxford Journal of Legal Studies, Journal of Applied Philosophy, Criminal Law and Philosophy, and Res Publica. She is the author of the Stanford Encyclopedia of Philosophy entry on civil disobedience. Her current work focuses on the ethics of sociability, social rights, human rights, and freedom of association. Her recent work focused on conscience and conscientious disobedience, ideals and virtue, philosophy of punishment, and restorative justice.